U. 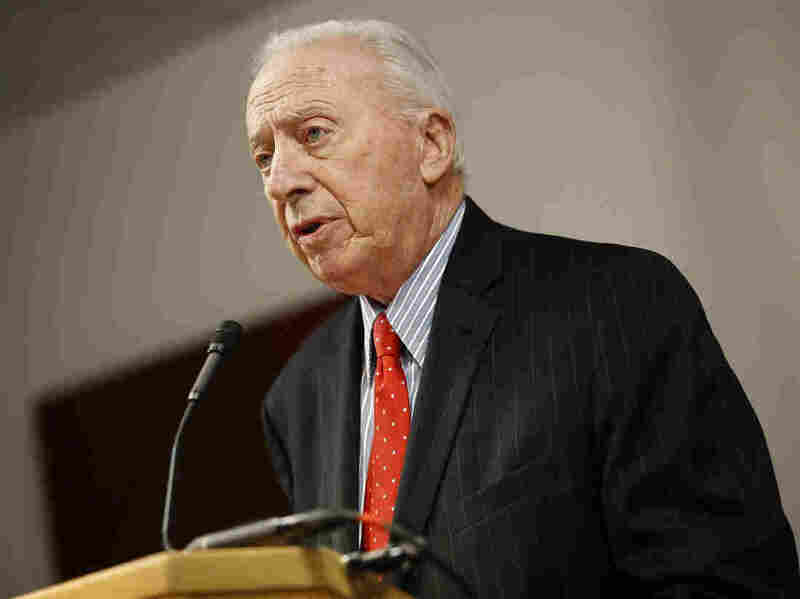 Of Maryland Board Of Regents Chair Resigns, Fallout Continues From Athlete's Death "My continued presence on the board will inhibit its ability to move Maryland's higher education agenda forward," James Brady said, after outrage over the decision not to fire the football coach. James Brady, chairman of the University System of Maryland Board of Regents, speaking at a news conference on Oct. 30, resigned on Thursday after days of outrage over the board's recommendation that football head coach DJ Durkin retain his job. The chairman of University System of Maryland's Board of Regents resigned on Thursday amid outrage from faculty, trustees and students after the board's handling of an investigation into a football player's death earlier this year. "In my estimation, my continued presence on the board will inhibit its ability to move Maryland's higher education agenda forward. And I have no interest in serving as a distraction from that important work," James Brady wrote in a statement Thursday afternoon. "Accordingly, I will step down from the Board of Regents immediately," he said. Brady informed the board of his plans to step down in a closed-door meeting following days of public outcry for the chair to resign. His announcement is the latest in a whirlwind of personnel decisions this week at the University of Maryland, involving the football head coach and the university president. On Tuesday the board said it would allow DJ Durkin to resume his position running the football program. He had been on paid administrative leave. Durkin was forced to step aside as President Wallace Loh launched investigations into allegations that the football program fostered a "toxic culture" and into the events surrounding the death of offensive lineman Jordan McNair. The sophomore collapsed of heatstroke during a team workout in May. He died two weeks later. Also on Tuesday, Loh revealed he would resign as of June, and he apparently still intends to do that. Both decisions led to widespread condemnation of the board of regents and a day later Loh fired Durkin. In a statement, Loh said he had met with student organizations, deans and campus leaders who "expressed serious concerns about Coach DJ Durkin returning to the campus." "This is a difficult decision, but it is the right one for our entire University," Loh added. The move, however, did not stem the backlash against the regents from members of the University of Maryland College Park Foundation Board of Trustees, who, on Thursday, claimed the regents "evidently forced" Loh into retirement. They are calling for Loh to remain at the helm of the university. In a Thursday letter to regents chair James Brady, Foundation Chair Geoff Gonella slammed the regents for their handling of the aftermath of the young football player's death. He accused them of deliberately taking steps designed to undermine Loh and "create the false impression that Dr. Loh had mismanaged the issues surrounding the death of Jordan McNair." The regents had overreached by "meddling" in the "hiring or firing of football coaches on campus or any other personnel for that matter," Gonella wrote, adding that its actions may have derailed the university's fundraising efforts for the state's flagship campus. "Let us remind you that we are in the middle of a $1.5 billion campaign to raise funds for the Flagship of the System. ... You may have dealt our efforts a fatal blow," Gonella said. Also on Thursday, university Provost Mary Ann Rankin and more than a dozen deans expressed similar sentiments in a letter to the regents. "Through its intervention, the Board of Regents usurped the President's authority and intervened in the ability of the President to carry out his full duties and responsibilities. Neither the by-laws of the Board of Regents nor state law give authority to the Regents to take such actions," Rankin wrote. She also called for Loh to rescind his resignation: "We believe Dr. Loh's leadership is critical for the university at this challenging time and we call upon the Board of Regents and the Chancellor to publicly affirm its support for Dr. Loh's continued leadership of the state's flagship university." Maryland Gov. Larry Hogan, who originally appointed Brady to the board of regents, had called on Brady to resign in the wake of the board's recommendation to retain Durkin, saying in a statement that he was "deeply concerned about how they could have possibly arrived at the decisions announced." Upon learning that Brady had quit on Thursday, Hogan's spokeswoman Amelia Chasse told NPR, "The governor believes that the university system must move forward in an open and transparent manner to restore public trust in Maryland's flagship university."